These girly office supplies will make your workday so much fun. Are you are girl who loves pretty things? Why not add some of this prettiness to your day at the office? The girly office supplies featured on this page would make the perfect addition to your workday. They will make the most mundane tasks more enjoyable and may even put a smile on your face. Ladies, whether you work at home or work outside of the home, you are sure to love using these pretty and girly office supplies. There are many supplies featured here including file folders, staplers, scissors, tape dispensers and so much more. These office supplies have lots of girly embellishments such as bling, animal prints, rhinestones, crystals, florals, fashion and sparkle! Lots of BLING for your office decor! You can add some bling to your office with these dazzling supplies. The supplies include computer mice, computer keyboards, telephones, desk sets, staplers, scissors, pens, calculators, pencil cups and tape dispensers. Some of the colors and designs include hot pink, aqua, purple, animal prints, leopard, zebra, silver and much more. 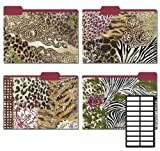 Turn your workday into a wild adventure with these fun animal print file folders. The prints include leopard, zebra, giraffe and tiger. Each order comes with eight file folders measuring 11 1/2" x 9". These pretty file folders by Karen Foster feature Azure blooms. The pastel colors include blue, lavendar and pale green. 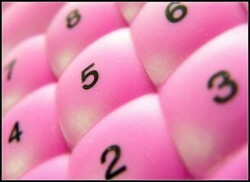 The floral calculators pictured here are from Pretty Tools. These floral calculators would be perfect for someone who loves to garden or something that just loves pretty flowers. The other calculators available from Pretty Tools include zebra, leopard and giraffe safari designs. Please visit my Unique Calculators page for more girly calculators including pretty pink, Swarovski Crystal, rhinestones and Hello Kitty. Plus desk caddys, notecards and office storage boxes. Punch Studio offers a full line of elegant office supplies for women. Included in this line of office supplies are file folders, expandable accordian files and clipboards. 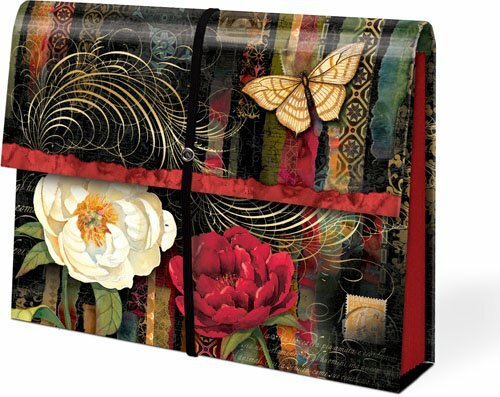 The designs available in the Punch Studio line includes Twilight Blooms, Paisley Peacock, Royal Peacock, Ivory Peacock, Bella France, Dragonflies, Flora Bird, Orchid, Florentine, La Rose Blanche and Sealife. The clipboards feature a pretty design on both front and back and comes with one letter sized paper pad. The expandable accordion folders have nine pockets, an elastic flap closure and matching file labels. The file folders measures 9 1/2" x 11 3/4" and come with 10 folders per pack. 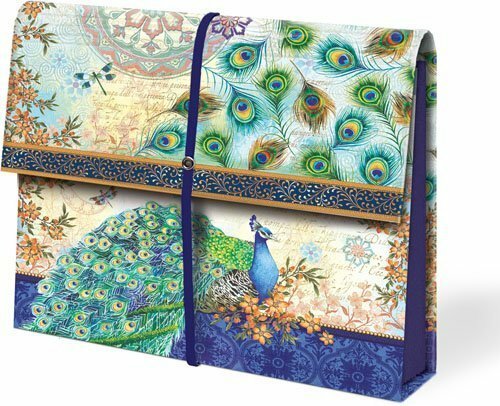 Other pretty office supplies from Punch Stuido include storage boxes, notecards, notepads, desk caddys, journals, address books and more. Gorgeous high heel desk accessories. These high heel shoe tape dispensers would be perfect for any fashion diva. The funky tape dispensers come in many vibrant colors such as hot pink, red, turquoise and black. There are also animal prints such as snake skin and leopard. 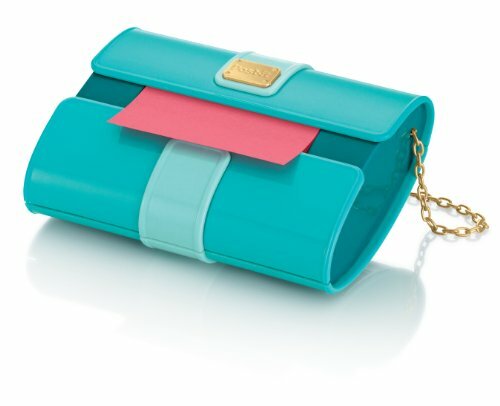 Whether you like a basic pump or an open toed heel, you will find the perfect tape dispenser for your desk. Vibrant neon colors including hot pink, yellow, orange and blue. In additon to the floral calculators featured above, Pretty Tools offers other products in their line of beautiful office supplies. Some of the office supplies include stapler removers, staplers, tape measures, scissors, tape dispensers and more. The designs include wild animal prints, peacocks and flowers. 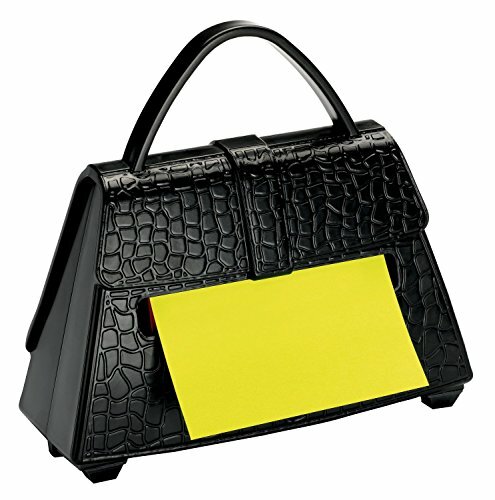 Jot down important notes and phone messages using these fun sticky notes. There are so many sticky notes on the market just for the ladies. 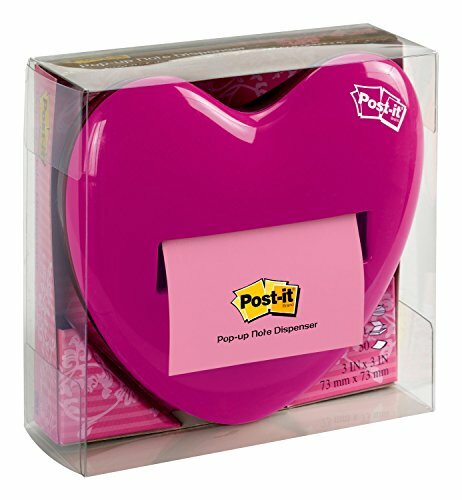 Some of the girly sticky notes include note cubes (piictured), humorous notes from Anne Taintor, animal prints, polka dots, gardens, pastels, peacocks and butterflies. Keep track of important notes and to-do lists using these gorgeous push pins. The styles include dome gems (pictured), antique silver, antique gold, flowers, nature and more. Get the job done while lounging out in one of these pretty office chairs. 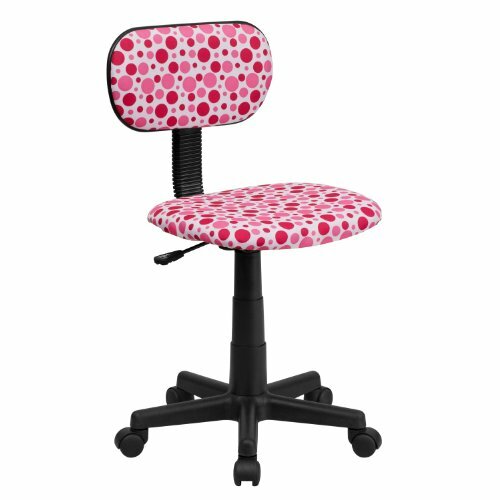 These office chairs from Flash Furniture come in many girly styles such as funky polka dots, zebra print, hot pink, lime green, peace signs, flowers, funky swirls and more. 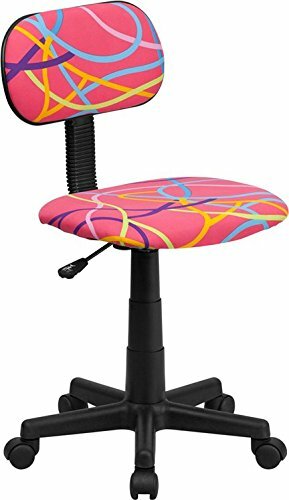 Office chairs can be purchased with or without arms. I have to get one of those tape dispensers! I am so not a girly girl, but my friend will love one for her desk in a male-dominated workspace. 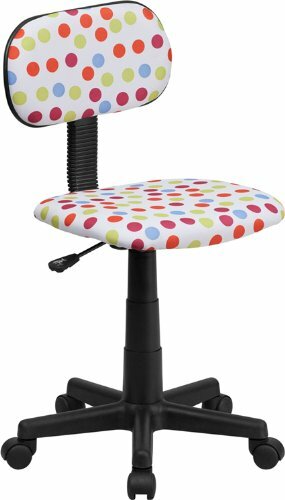 I need a new office chair - love the dots! This is a great page. My daughter is an office manager at a small company and I am betting she would LOVE many of these products..! Just back for more, this page is AMAZING I like what you've done on the other site links as well, in a rush but will comment on them as well soon. Hello Kitty fans will love these pretty pink beauty supplies and accessories. Bling! These unique rhinestone and crystal office supplies will add dazzle and delight to your home or office.